This post is going to look complicated, but there’s nothing further from the truth. 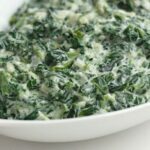 This recipe is easy to make! First things first, let’s talk onions, shall we? 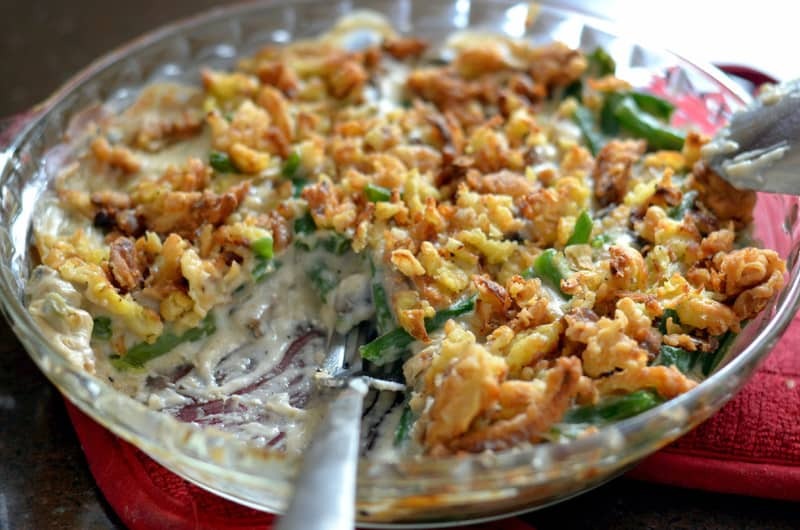 What makes the Green Bean Casserole dish so infamous are those crunchy onions on top. However, the processed canned variety from French’s contains some dangerous compounds, mainly TBHQ which is a preservative but is also found in shellacs, cosmetics and pet foods. Not too appetizing is it? 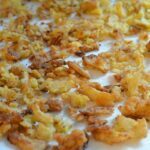 I made my own crispy fried onions using 4 ingredients – onions, egg w/ a little milk, flour with a little salt and pepper and oil. 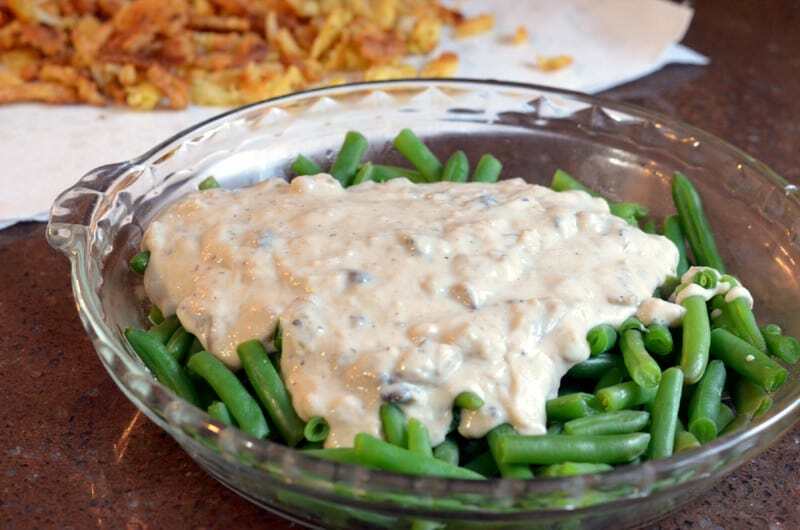 The next processed component to our Green Bean Casserole is the condensed soup. Again, there are chemicals in there that are dangerous to your health, this time it’s MSG and Soy Protein Concentrate. 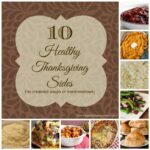 Why eat these food additives and preservatives when it’s just as easy to make it at home, which is just what I did. You can get that recipe by clicking here. This condensed version of Cream of Mushroom Soup took about 15 minutes to make and I made right after my onions were done browning and they were just hanging out on the counter awaiting their next instruction. The last and most important ingredient are the beans. I bought 16 ounces of long, fresh green beans. They were already prepackaged so I knew the weight was 16 oz, but you can also certainly use the scale at the store to weigh them. I steamed them for about 8-10 minutes until they were fork tender, meaning when pierced with a fork, it slid right through without any resistance. Then all that’s left to do is put it all together. Now tell me that doesn’t look amazing? 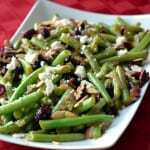 Fresh green beans (not canned or frozen). Cream of Mushroom soup using fresh mushrooms and onions, flour, milk and chicken broth – no preservatives, no chemicals. And those onions just waiting in the background to top it all off! Peel and slice the onion into very thin rings, then cut again in half so they aren’t in a circle anymore. Cover the bottom of a large skillet with olive oil and let it heat up (preferably to 375 degrees if you have a thermometer). Combine the flour, breadcrumbs, salt and pepper in a shallow bowl. Beat the egg with the milk in another bowl. Set out some paper towels to drain. Dip some of the onion in the egg and using a slotted spoon drain them. Place them in the flour mixture and using tongs (or a fork) pick them up and bang the excess flour off. Place them in the hot oiled pan and let them cook for a few minutes until they look crispy on the bottom. If they are not completely submerged in oil, flip them over and cook the other side until golden brown. Drain on the paper towels. Repeat until there are no more onions left. Add the butter to a large skillet over medium heat. Add the mushrooms and onions and sauté them until the mushrooms release all their liquid, approx. 5-7 minutes. Season with salt and pepper as they are cooking. Sprinkle the flour all over the mushroom/onion mixture and stir in to combine, cooking 1 minute more. Add the garlic powder. Slowly add the chicken stock while stirring. Add the milk. Cook for approx. 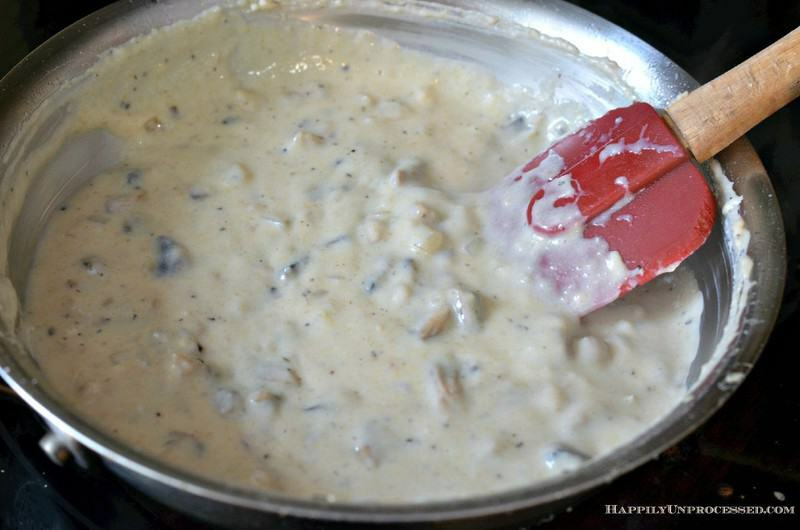 3-4 minutes to allow it to thicken, adding more milk if it is needed. Take the soup off the heat and stir in the sour cream and pepper. 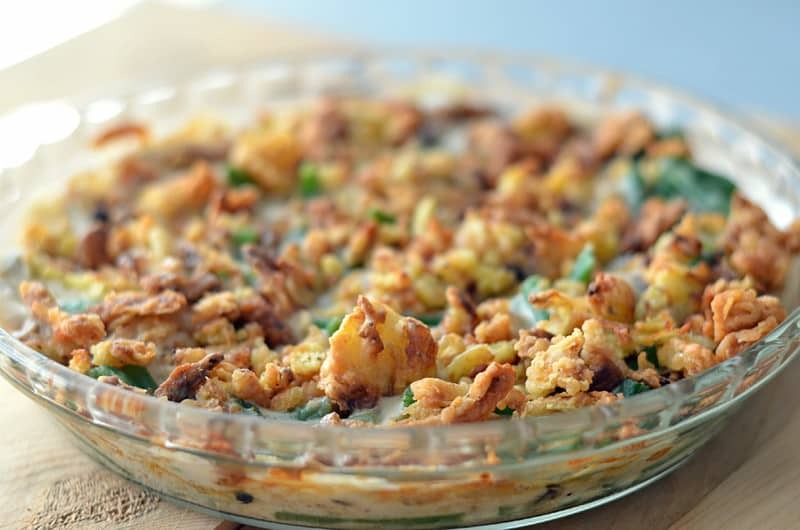 In an ovenproof casserole dish combine the beans and soup mixture together. 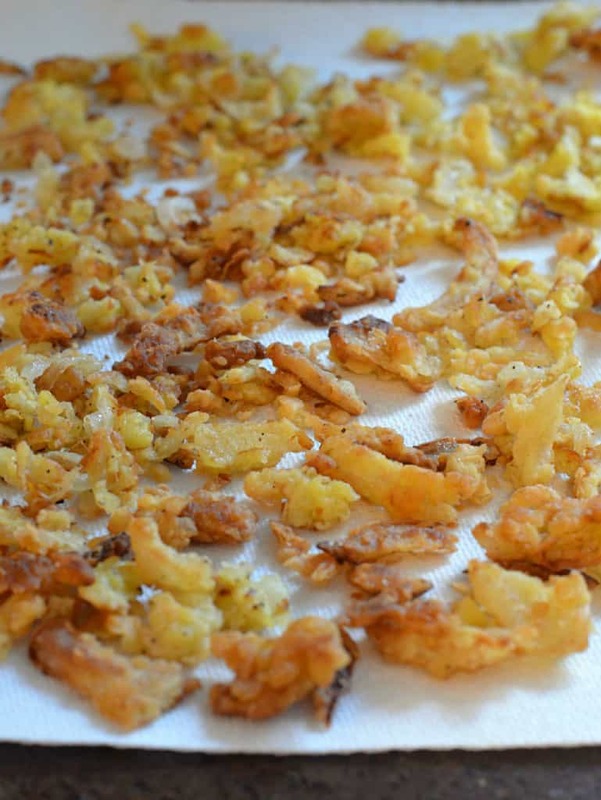 Top with the crispy onions and bake in a preheated oven to 350° F for 25-30 minutes or until hot and bubbly.